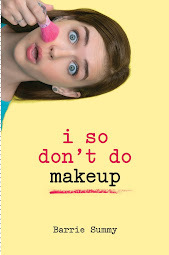 ENTER THE I SO DON'T DO MAKEUP CONTEST! Join the National Bone Marrow Donor Registry and potentially help Christina Small or someone else. With the code below, it's free (normally it's $52) until March 28, 2010 (thank you Bone Marrow Foundation of San Diego). "Summy keeps the fizz in her effervescent premise...using a punchy first-person narration; story lines involving romances, movie stars, rhinos and egotistical chefs; and various eccentricities, including a late grandfather who assumes the form of a wren...Sherry remains entertaining, and readers will hope for a second caper." "Sherry’s relationship with her mother’s spirit and her own quirky personality elevate this text by adding sincerity and warmth." 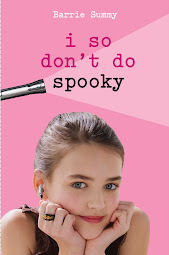 "A seriously funny ghost story packed with mystery, romance and fun." "Featuring many of San Diego’s hot spots, it’s guaranteed to capture the interest of young and old alike. Can’t wait to read the sequel coming in the fall." 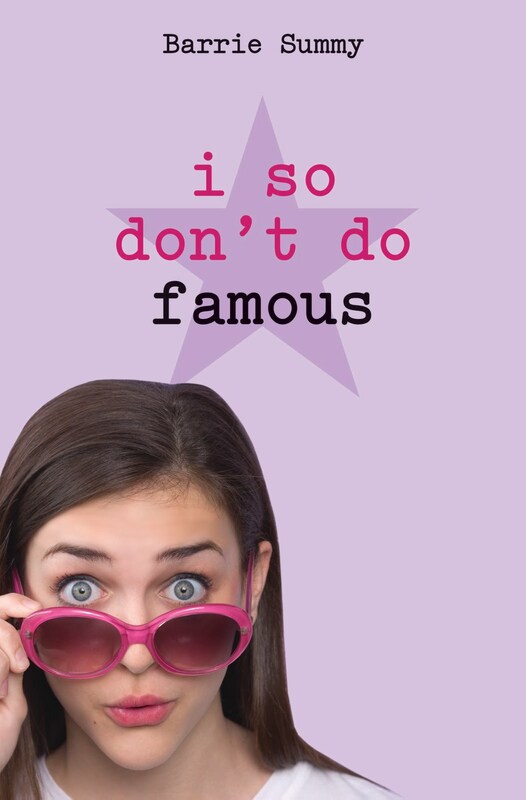 "I SO DON’T DO MYSTERIES is a funny, engaging debut novel and Sherry’s antics will keep you turning pages since nothing happens as expected. 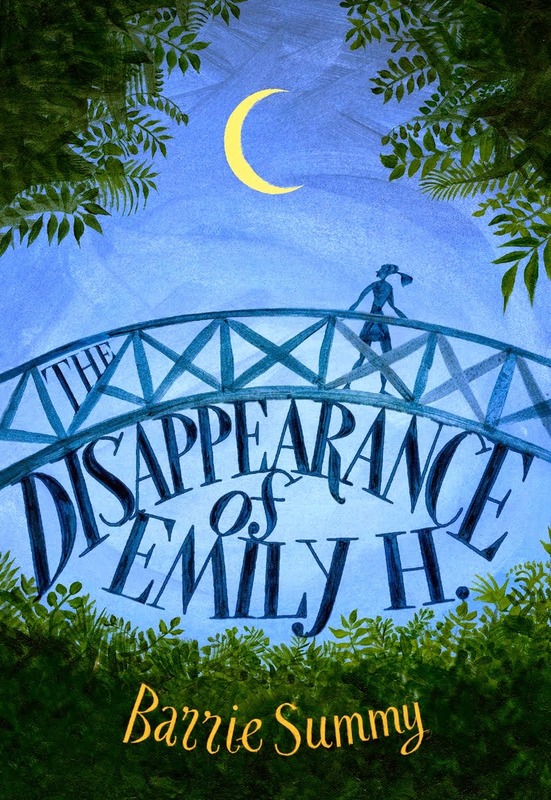 Ms. Summy’s title suggests she so doesn’t do mysteries, but I believe she does them very, very well, and I surely hope she will be brewing up more mysteries for Sherry and her mother in the future." "I think that Barrie Summy gets it just right. Her book feels like a wild romp, with just enough poignancy at the right moments to make it believable and honest and rooted in a real girl's experience...If you're after a mystery with a heroine who's got plenty of gumption (even though she might not know it), a few ghostly sidekicks, and otherwise an entirely normal teenage life, then look no further than Barrie Summy's I So Don't Do Mysteries." "I loved Sherlock (Sherry) Holmes Baldwin, she was just the right amount of pink for me...Summy has created a very lovable character in Sherry Baldwin and doesn't skimp us on the others. I look forward to reading more." "It's a really funny book, Mom, which is weird because you don't have much of a sense of humor." "I had such a blast reading your book! I really liked your descriptions... Your fabulous sense of humour comes out clearly throughout the book... I liked the attitude you gave Sherry - totally unlike you growing up, I'm sure. I can't wait for the next book...You're one smart cookie!" "I absolutely adored this book and it just flew by. I loved the humor in the book as well as all the characters, all of whom were really well-written and brought their own piece to the story. The mystery itself was fantastic, and had quite a few twists and turns throughout the book, with the ending and culprit being a total surprise and someone I had not suspected. I'm so glad this is the first in a series because I can't wait to read more of Sherry's adventures in sleuthing!" "Sherry's energy is contagious, and rooting for her was a delight." "It was fun to see the twists and turns the investigation took." "Barrie Summy’s I So Don’t Do Mysteries is a book I would have adored as a preteen. Actually, I adored it as an adult." 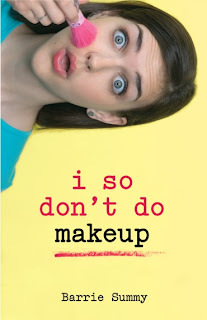 Natalie L. of Wichita, KS rated this book "5/5--THE BEST!" Amanda K of New Jersey says, "If you read the story, I So Don't Do Mysteries, you won't regret it." (note: no apostrophe!) with the subject line "Pick Me!" In the body of the email, include your name and email address (if you're under 13, submit a parent's name and email address). 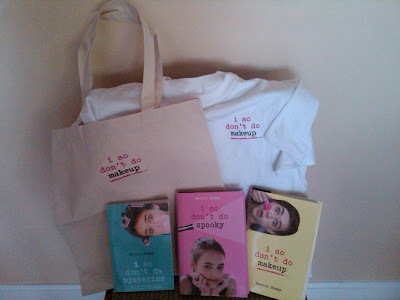 One entry per person and prizes will only be shipped to US or Canadian addresses. Entries must be received by midnight (PDT) on June 30, 2010. Winners will be selected in a random drawing on July 1 and notified via email. Check back at this blog after July 6, 2010 for the list of winners! A linky list to my My Town Monday posts. The list isn't totally up to date, but it's not tooo far behind. Enjoy! "Summy keeps the fizz in her effervescent premise." For signed copies of any of my books, please contact Mysterious Galaxy. To support your local bookseller, check out Indiebound to see who's in your area. My local children's bookstore is the one and only The Yellow Book Road. My local mystery bookstore is the one and only Mysterious Galaxy! 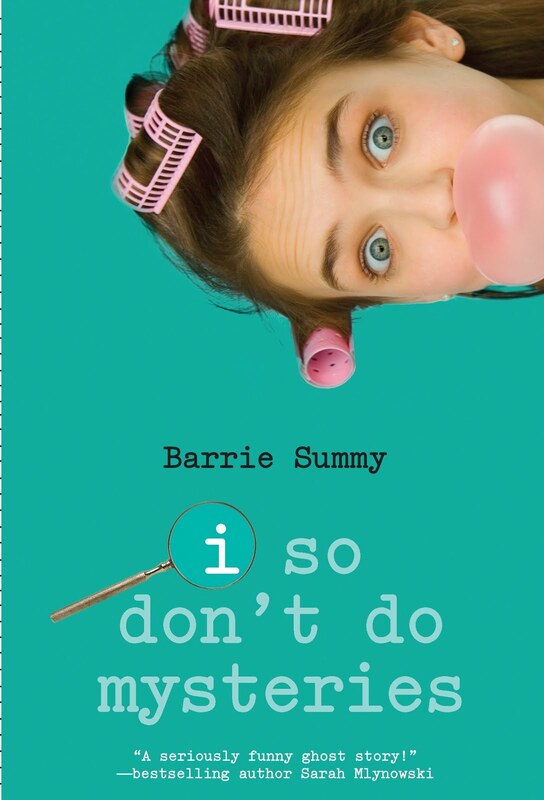 Barrie Summy grew up in Canada on a steady diet of books and tobogganing. She tries to read a book a week and always breaks for tea and cookies at three o'clock. There are obviously lots and lots of gaps in this bio. Which is probably the way it should be. I mean, come on, you don't want to scroll through pages of boring facts about me. Oh, what was that? You'd like to hear a few odd ones? Did someone tell you I was odd? Perhaps one of my children?! You realize they have a very skewed perspective. I cannot have licorice in the house. Or white cheddar cheez-it crackers. I will eat these items until I am sick. I do not like going to the post office. So, if you're waiting for something from me, well, you're in good company. One of my most successful New Year's resolutions: Drive through the car wash twice a month. And....I loved, loved, loved university. To the point that I wouldn't stop going until my parents pulled the plug. I have a degree in French, a degree in Canadian Literature, and a degree in Speech Pathology. The latter has resulted in very chatty children. And here's some fun stuff from Random House where I'm in the spotlight! !